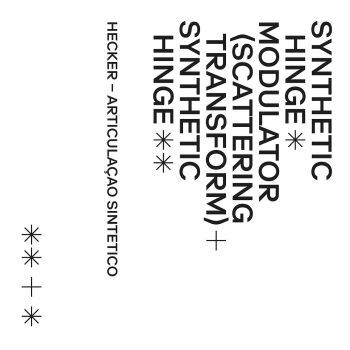 Editions Mego is proud to release Articulação Sintetico - a complete resynthesis of Hecker’s 2014 Editions Mego album Articulação. A meticulous reconstruction and transfer of qualities, Articulação Sintetico features synthetic voice models of Joan La Barbara, Sugata Bose and Anna Kohler, a DBM sparse replica of non speech content and a scattering transform of Modulator (... meaningless, affectless, out of nothing ...). Uncanny Valley 2.0.